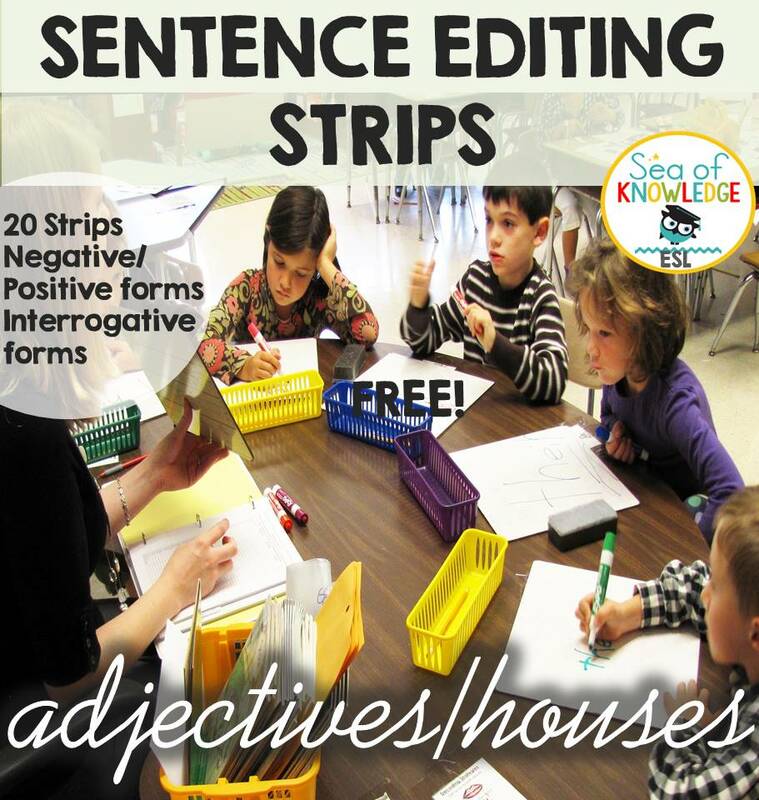 One great way to practice grammar skills is to use sentence editing strips. These strips are so easy to prepare! Just print, laminate and cut up the strips. 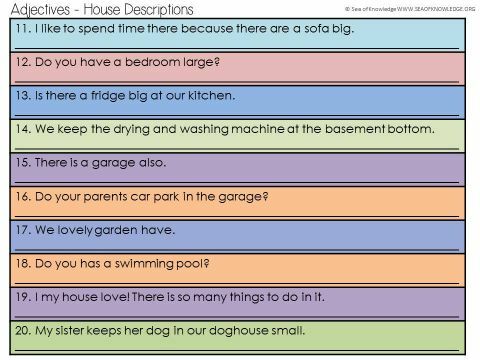 There are black and white images which can also be used if you prefer for just a worksheet type activity. 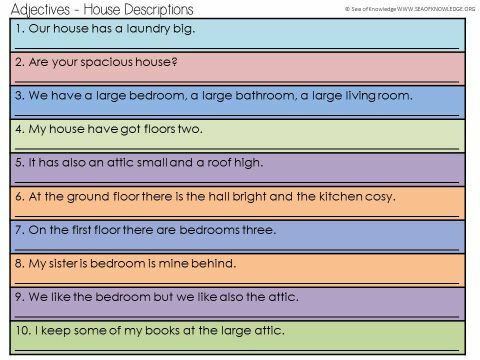 For example, I wrote up an activity specifically designed to help students work on adjectives in association with houses. You can get the PRESENT TENSE STRIPS HERE. Here is a FREE version / pack you can download from TPT HERE.